Hi, my name is Melanie, my husband Randy & daughter Christal own and operate a family farm in Northern Missouri. We raise beef cattle, after dreaming for a time and researching we now have a small herd of Registered Nigerian Dwarf Goats. Our animals are friendly and handled often. 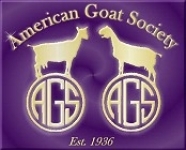 Our goal is to provide healthy, happy goats that will produce healthy babies, fresh milk and companionship.